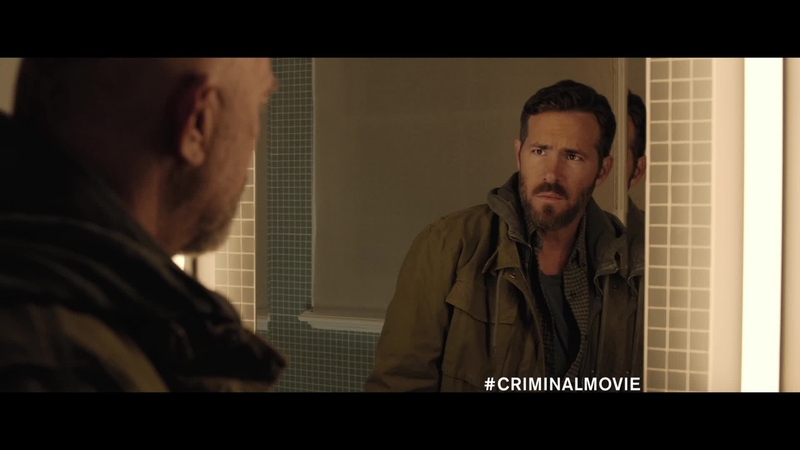 I was wondering why Ryan Reynolds did not get a higher billing in this movie. He wasn’t featured in the poster though he was in the cast list…then I saw the movie and realized he really wasn’t in it very long at all…at least not in corporeal form. 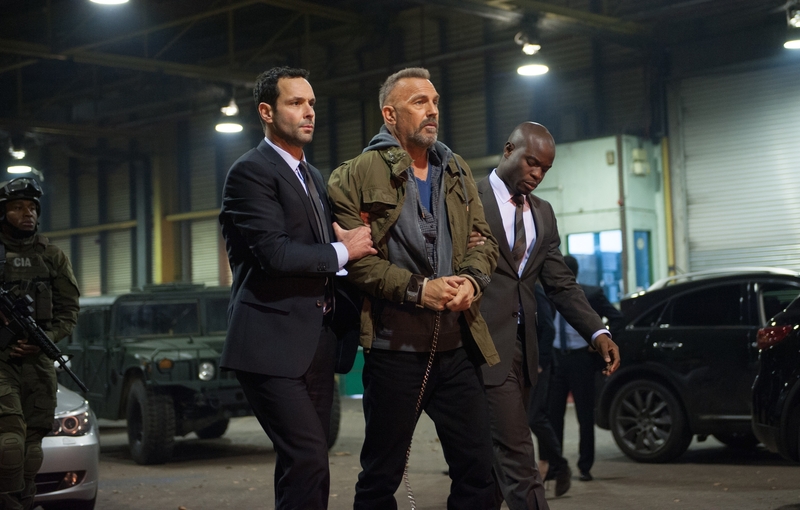 In fact, outside of Kevin Costner and Gal Gadot, most of the rest of the cast was relegated to smaller roles as well and all were very one-dimensional. This is a key statement, so much talent, used to such poor effect. The movie starts off pretty in pretty good shape. We see Bill Pope (Reynolds) being pursued around town in a game of cat and mouse that he ultimately loses, to rather gruesome, effect. He was trying to arrange an exchange of money and safety with a hacker, the Dutchman, who has cracked the entire US missile firing security system. Some bad guys want him and his toy and kill off Pope to block the exchange. 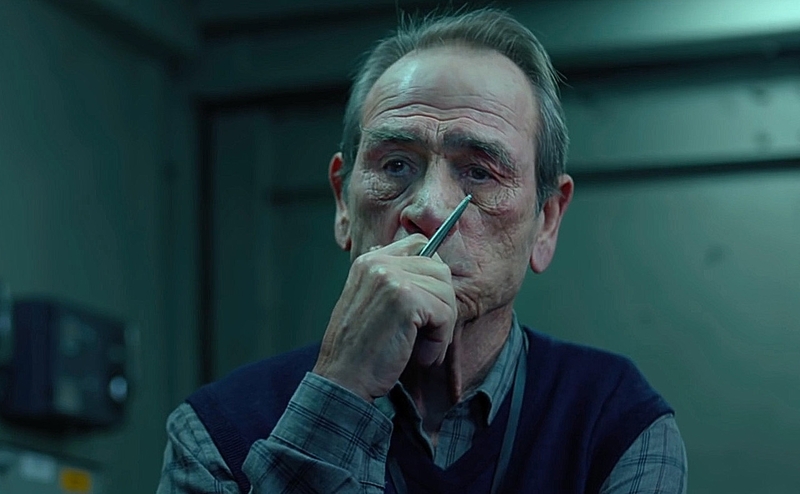 Tommy Lee Jones, comes in and says they can transfer Pope’s consciousness to a psychopath with damaged frontal lobes so that he can remember where the Dutchman is hiding out, and we have the stage set for Costner to play crazy bad guy with a growing heart, and Ryan Reynolds gets to play ghost in someone else’s head. If all of this seems to be cabled together from about 1000 other movies we have seen with similar plot points, you’d be correct. This movie is very disjointed and flimsy in the story department. The cast is wasted on a poor story and nonexistent development. Costner, as the main character, is completely dislikable for far too long into the narrative, and then only marginally improves. 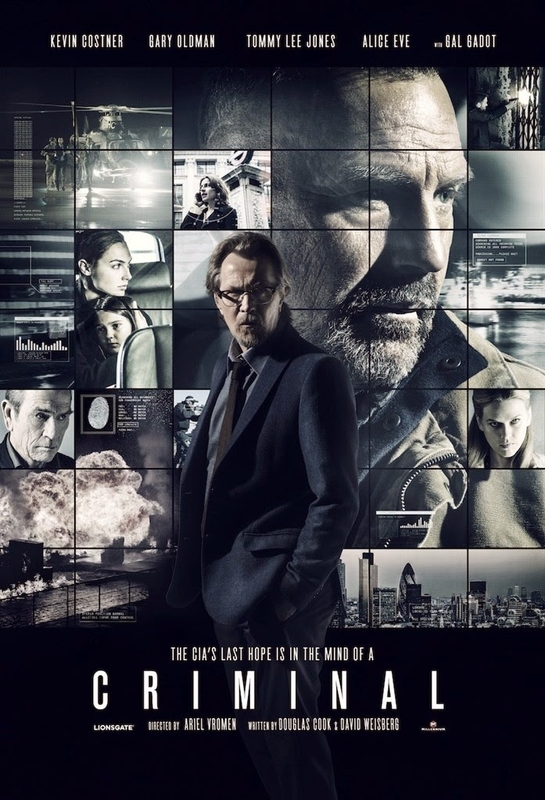 Oldman, looking like full on Commissioner Gordon, is given nothing to work with. The same can be said for Tommy Lee Jones and Alice Eve. Gal Gadot is the only character any semblance of depth but she is overshadowed by Costner’s poorly conceived character. You could skip this one and not miss much.